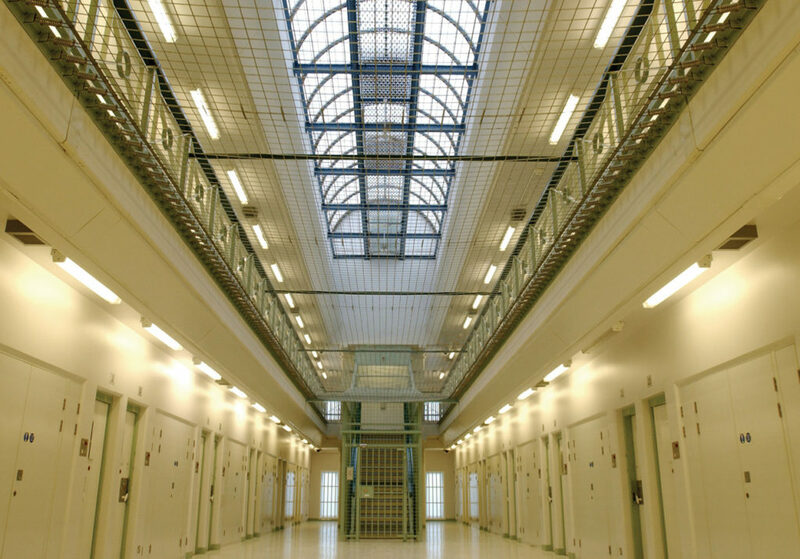 Following the doubling of the number of deaths in Northern Ireland prison custody to six between 2015 and 2016, agendaNi looks at the inherent problem of housing some of the most vulnerable members of society. The Justice Minister, Claire Sugden has vowed to do more to support vulnerable inmates and “tackle the scourge of drugs” within prisons following the death of three prisoners at Maghaberry prison in the month of November 2016. Minister Sugden revealed that figures for the 1,533 prisoners in Northern Ireland’s jails indicate that 740 had an addiction, while 417 had a mental health illness. Towards the end of 2016, the Belfast Telegraph reported that over a six month period there were 112 instances of drugs being discovered by warders. There were 803 illicit items seized including alcohol (20), blades and knives (17) and mobile phones (18). Amidst an ongoing problem of illegal drugs at Northern Ireland’s only high-security prison, where in the second half of last year at least 11 visitors to the jail were arrested on suspicion of trafficking drugs, a drug amnesty was offered to prisoners in September but uptake is believed to have been very low. Addressing the ongoing problems within the jail in the context of a report in 2015 by prison inspectors who identified Maghaberry as one of the most dangerous they had ever attended, Sugden said: “I am devastated by those deaths and it is something I can assure the committee that we are taking very seriously to address and see how we can hopefully stop this happening. “I am not sure it will stop happening again, the nature of suicide in prisons, but indeed I want to feel we are doing everything we can. “The Prison Service is tasked to deliver safe, decent and secure prisons with rehabilitation at their core. Recent events have highlighted the challenges that prison officers face as they deal with people in custody. Although 2016 saw a doubling of the number of prison deaths from 2015, the highest number of deaths recorded over the last decade was in 2012, when there was a total of eight deaths. 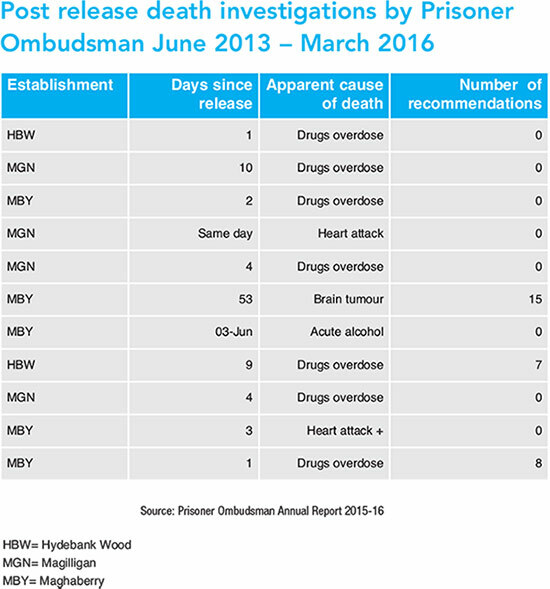 These figures only include those in custody and not post-release deaths which are highlighted in the following table. Northern Ireland is not alone in struggling to protect its prison population. Recent figures reveal that 2016 saw record number of prison suicides in England and Wales. The 119 self-inflicted deaths recorded were the highest since records began in 1978. A recent investigation by thedetail journalist Claire Smyth found that in Ireland over the last decade there has been a total of 173 deaths of prisoners serving sentences. In the Republic of Ireland, where the prison population is more than double that of Northern Ireland, 129 deaths have been recorded compared to 44 in Northern Ireland. Both figures include inmates granted temporary release from jail. Professor Phil Scraton, a member of the panel to probe the Hillsborough disaster, is among the many voices who have called for more to be done to address the concerns around Northern Ireland’s prison system and has suggested a similar independent inquiry to the one on which he sat.